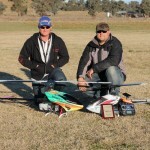 This is the official Perth RC Heli Club website where you’ll find all sorts of information about the club and the RC community both here in Perth and throughout the world. At the club you will find all sorts of machines ranging from scale turbine models to 60 and 90 size models and of course many popular beginner models. Our club offers both new and experienced pilots a great environment where you can share with others your interests of RC helicopters. We have a range of members that can help guide and give invaluable knowledge to other members, some of Australia’s top pilots are members of the Perth RCHeli Club. To add to this we have a great central location with a huge field and safe and secure parking.